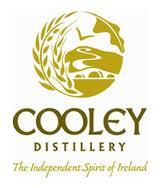 The growing global demand for Irish whiskey has seen the Cooley Distillery cease supplying spirit to some independent whisky makers, according to a report in the Irish press. Lord Henry Mountcharles has been producing Slane Castle Irish whiskey, named after the family’s ancestral home, since 1999 using spirit bought in from the County Louth distillery. The distillery, recently bought by American drinks giant Beam Inc., has informed the peer that they will no longer be able to supply him. Lord Henry described the move as “anti-competitive” in an interview with the Irish Independent. “We were about to sign a large distribution deal in the US when we learned our supplies would be cut off,” he told the paper.